The 100 percent smoke-free Comfort Suites West Warwick-Providence hotel in West Warwick, RI lets you rest and get ready to take on the day. We are near T.F. Green Airport, RI Convention Center, Dunkin Donuts Center, Foxwoods and Mohegan Sun Casinos, Mystic Seaport and numerous colleges and universities. 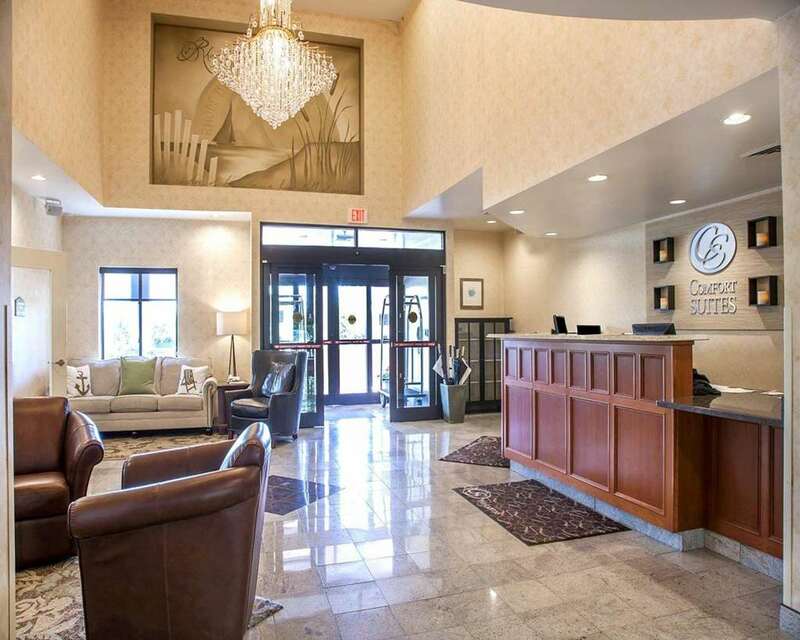 Amenities include free WiFi, free parking, free hot breakfast, meeting space, fitness and business centers and indoor heated pool. Behind every great day is a great night in your suite, which gives you 25 percent more of the space that you need and features a refrigerator, microwave and recharging device with AC and USB outlets. Also, earn rewards including free nights and gift cards with our Choice Privileges Rewards program.